Please note that this course does NOT provide CME and therefore it is NOT approved to fulfill the ABLM 30 online CME prerequisite to sit for the ABLM exam. 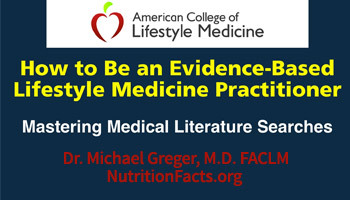 If you would like to earn CME for this course and/or use the Foundations of Lifestyle Medicine: The Lifestyle Medicine Board Review Course as a prerequisite to sit for the ABLM exam, please purchase the Foundations of Lifestyle Medicine: The Lifestyle Medicine Board Review Course, 2nd Edition (with 30 CMEs). 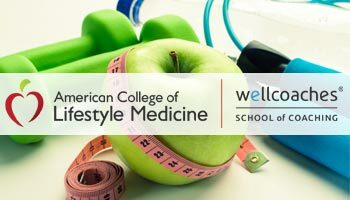 The purpose of the Lifestyle Medicine Board Review Course, 2nd Edition, is to provide a Lifestyle Medicine Board Review to prepare candidates to sit for and successfully pass the Lifestyle Medicine Board Certification Exam. 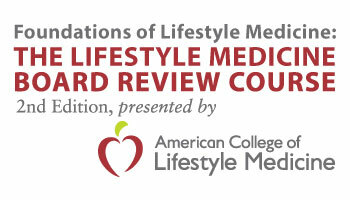 The American College of Lifestyle Medicine is pleased to offer the updated and enhanced Foundations of Lifestyle Medicine: The Lifestyle Medicine Board Review Course, 2nd Edition (with 30 CMEs), developed by coauthors John Kelly, MD, MPH, and Jeni Shull, MD, MPH, with feedback from an Editorial Advisory Panel that includes leading experts in Lifestyle Medicine, and incorporates feedback from the inaugural board review course. In this second year, the course consists of the Foundations of Lifestyle Medicine: The Lifestyle Medicine Board Review Course Manual, 2nd Edition (Paperback and eBook), that covers the information from which questions are written for the American Board of Lifestyle Medicine Certification Exam. Dramatically enhanced, this year's manual features a new Index and an Appendix summarizing key Lifestyle Medicine research, with detailed graphics, tables and figures, and more than 130 review questions, some for each section. In addition, the course includes three 2-hour interactive webinars led by Drs. Kelly and Shull, on September 9th, 16th and 23rd at 5-7pm CST. Webinars will be recorded and accessible to all Board Review Course enrollees unable to attend the live webinars. Printed Manual- Those who register by July 15th can expect to receive their manual on or before August 1st. Those who register after July 15th can expect to receive their manual within 2 weeks of the date of purchase. eBook Manual- Available on or before August 15th. Webinars and Webinar Recordings- Three 2-hour webinars will take place on September 9th, 16th, and 23rd from 5-7pm CST. Webinars will be recorded and made available in the course within 2-3 business days of the live webinar. This course can be viewed on desktop, tablet or mobile device. Speakers or headphones are required for this course. The eBook can be viewed within the learning management system and via your computer desktop upon activation and download. 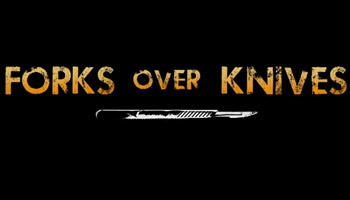 This activity provides no CME.